Ted will ensure the dignitaries are aware of what the committee would like them to do. 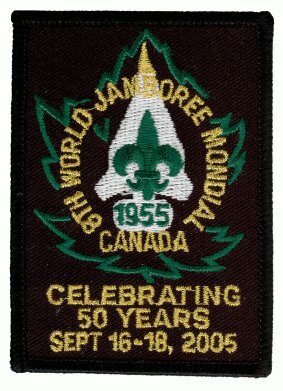 It would be helpful for those who are speaking to have background information about Scouting and the 1955 Jamboree to draw upon when writing speeches. Lou will follow up with the Honourable Jim Bradley, the Niagara Region Chair, and the local police chief. Ted reported that Jane Graham will represent Scouts Canada's International Relations Committee. The Chief Scout, being near the end of her term, will not be able to attend. Ted will invite the Lieutenant Governor of Ontario and the local police chief. Ron Dale will officially represent Parks Canada at the commemoration. The the Lord Mayor of Niagara-on-the-Lake, and the local MP and MPP have accepted their invitations to attend the event. Mike Scott has declined an invitation by the Scout Brigade of Fort George, implying that he will also not be available for the WJ'55 commemoration. The Chief Scout's office has acknowledged their invitation but has not indicated whether she will be able to come. Others have not responded. Several WJ'55 participants from Japan will visit Niagara-on-the-Lake in late May. They are prominent in Scouting and in business. Tony is helping to arrange their visit with Roy Nagami of St. Catharines, who was a translator in 1955. There is a potential story here.